Taxi Service in Sirsa: We are serving people with exceptional taxicab services across the country. 1313 taxi is the most experienced and trustworthy company in the industry. Book our taxi service in Sirsa and enjoy uninterrupted and hygienic tour services with us. Our clients will get unique quality traveling services at affordable prices. Moreover, we help visitors in designing their itinerary in a professional way. At 1313 taxi, we have an industry based team of destination experts working with us for years. Our enormous experience in the tourism industry helps us a lot to be in the dominating position. Our taxi service in Sirsa is full of facilities and comforts which will make you feel at home. In addition, 1313 taxi has a head office in Patiala. We are feeling glad to announce that today we have occupied not only Punjab but Haryana and Delhi also. Our award-winning staff members and drivers are working with full determination and dedication. Similarly, they have helped us a lot to win a customer loyalty and trust. So, make a smart decision and hire our cab service in Sirsa by calling at +919216041313. 1313 taxi is promising you to serve you with Hassle -free and calm traveling services. Make sure your home pick and drop taxi service with us. You don’t need to drag your bags or other stuff to the taxi stand nearby. Correspondingly, just pick your phone and call at +919336441313. 1313 taxi will meet you in just a few minutes at your doorstep. Similarly, you can find us on the internet by having a few clicks. Type ‘taxi service in Sirsa’ and complete the proceedings. 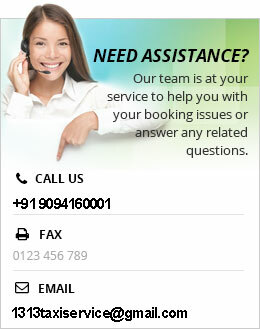 Moreover, you can reach us by email and SMS or by filling a simple form on the website. Contact us now and book our taxi service in Sirsa in a moment. You will not have to wait for hours for your vehicle. 1313 taxi is punctual and dedicated to its duties. 1313 taxi has a variety of vehicles in its fleet. It includes luxury cabs, neat and clean and fully serviced taxis. Additionally, we also have deluxe and charming tempo travelers to assist you for a family or group tour. Furthermore, we have AC, non-AC vehicles, fully-furnished with the modern comforts. We have a valid permit to go through any of the locations. Our drivers are certified and valid license holders. Moreover, they are fully trained in driving skills and are eligible to drive on any kind of roads or areas. Our clients can also approach us if they need a one-way taxi service in Sirsa. 1313 taxi will not impose you with the full fare. Correspondingly, we will charge you with half rates if you select our fantastic and convenient one-way cab service in Sirsa. Along with, we have kept a complaint/feedback register in all of our vehicles. It is compulsory too as per the laws. Similarly, our taxi service in Sirsa is fully safe and secure. It is our prime and important duty to take you to your destination safely and securely. 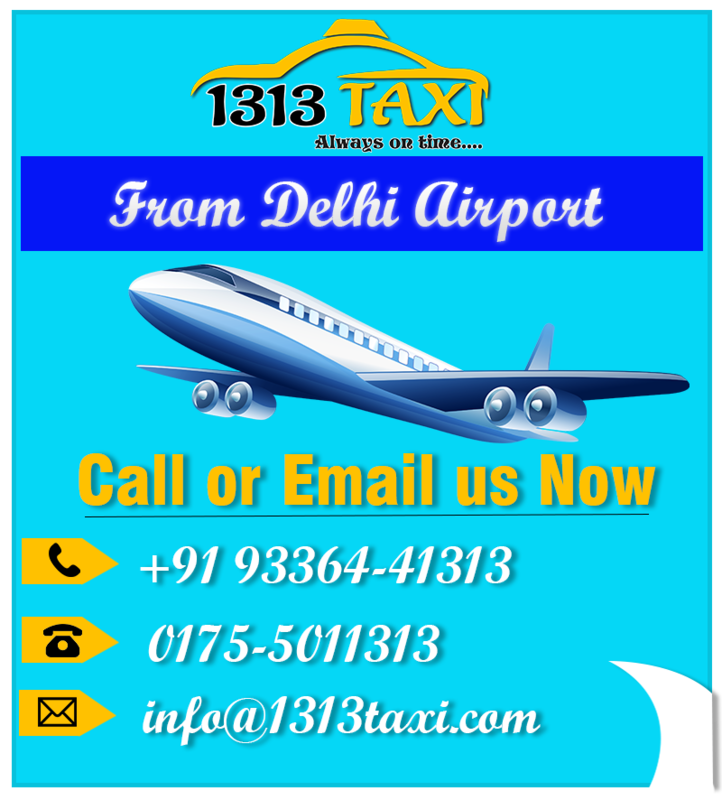 Thus, 1313 taxi always promise our clients will feel stress-free and relaxed in our taxi service in Sirsa. Moreover, we are expanding our services to cover up the entire country. Correspondingly, we have taxi service in Ambala, taxi service in Panipat, cab service in Sonipat, cab service in Karnal, Fatehabad, and Rohtak as well. Now here is good news for you. That is you can arrange your family trip to any destination with us. Because after experiencing huge response to our tempo traveller service in Patiala, we have launched it in Haryana too. Similarly, you can enjoy a splendid time with your family well through our deluxe and luxury tempo traveller service in Sirsa. In addition, we also have tempo traveller service in Ambala, tempo traveller service in Panipat, Delhi, Chandigarh, Rohtak, and Faridabad.